Help my cute chihuahua puppy has become a chi-nager. Puppies age more in the first year in terms of human years, so by the time your chihuahua puppy is one year old they are in fact about 15. During the first 6 months of your puppy’s life, he will be biddable, playful and eager to please. This is when you should be working hard with your chihuahua puppy to establish good manners, behaviour and you should be working very hard with socialisation. Skimping on this could risk your cute chihuahua puppy turning into a not so cute chi-ziller. Read: 9 things you should be doing with your puppy from the off. At about 6 months adolescence will hit and your chihuahua puppy will turn into a chi-nager. These can be testing times as your dog will have many of the same issues that we see in our adolescent children. You may see your once biddable puppy become challenging. His focus is no longer pleasing you, but has turned to exploring the more interesting world outside. All the hard work that you have put into training seems to have gone out the window. Your chihuahua puppy has become rebellious and sometimes plain disobedient. Add into this the natural stubborn streak that runs through every chihuahua and there may be trouble ahead. Reproductive hormones are starting to circulate and your chihuahua will want to find his place in the world and in his pack. It’s going to be about now that litter mates may start fighting for the dominant position. If you brought two siblings’ home on impulse, now is the time you may start to regret it. You can read more about littermate syndrome here. This is also when many young male chihuahuas will find themselves handed into rescues. This is also the time that many people turn to neutering and spaying. We are encouraged to do so by society and the vets. People often think, or are advised, that neutering a young male dog will somehow ‘calm him down’. In fact, the exact opposite is true. For male dogs it stops the production of testosterone, which can make him fearful and snappy. Early spaying in a female can lead to hormone incontinence. Before you cue up at the vets to get your chihuahua spayed, do some research. No vet in the UK will tell you not to spay or neuter your dog, so don’t look for impartial advice there. You can read more about spaying and neutering here. One of the main challenges you may have with your chi-nager is recall. 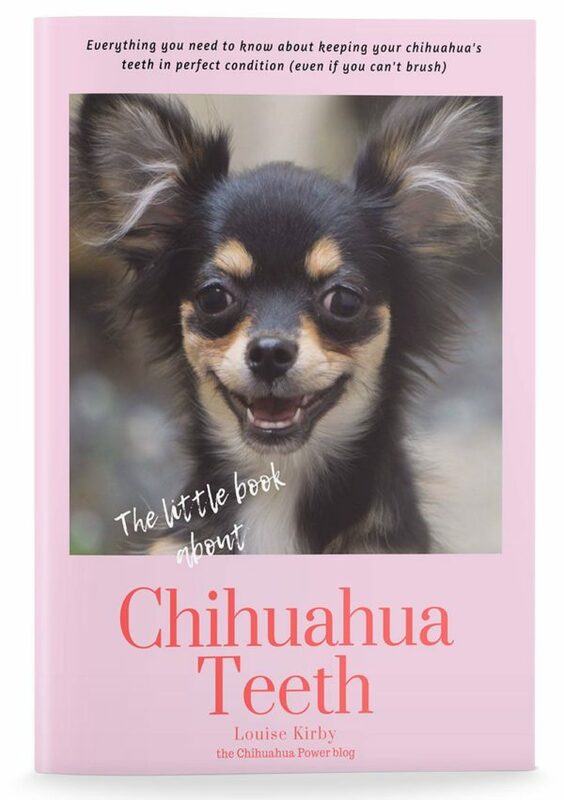 Your chihuahua is enjoying sniffing and rooting about and may well turn the, ‘teenager deaf ear’ when you try to call him back. But, your chihuahua lacks the maturity to react to situations and could end up getting into trouble. It might be a good idea to keep him on a long training lead until this phase is past. This is what we are doing with Arlo (18 weeks at time of writing) after an incident that led to him being lost in the woods for nine hours. Here is some helpful info on what to do if your dog gets lost. Chihuahuas are known for only liking their own breed and for showing aggression towards other dogs. If you spent time correctly socialising your puppy, then this shouldn’t be too much of an issue. But, your chi-nager will be trying to establish himself in the neighbourhood with the local dogs. If your chihuahua is being aggressive towards other dogs, keep him on a lead and under control. But don’t despair, it is possible to get past this behaviour. It takes patience, and lots of positive interactions. Continue to work with him and this behaviour in a controlled situation with dogs you know. You can find out more about dealing with aggression towards other dogs here. This adolescent phase will pass, and you will get your agreeable chihuahua back. But, you must continue with training and *insist that your chihuahua follows the house rules. Do not allow your chihuahua to believe he is in charge. It is very common for chihuahuas to promote themselves to pack leader, especially if they feel that the current management is weak. Read why you in charge = happier chihuahua. It is a mistake to allow bad behaviour just because your dog is small. It limits his potential and will result in a very stressed, snappy dog. *Please remember that training any dog is about being positive and kind. Never show any kind of aggression towards your dog. A dog that feels threatened only has one defence. This is often the time that owners will give up on their chihuahua, especially males, and put them in a rescue. This is how we got Arlo, the rescue told us he was fighting with his siblings. Excessive barking is still one of the main reasons why chihuahuas are given up. 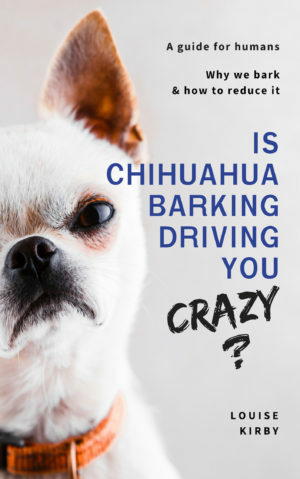 The default setting is bark at everything, but you can train your chihuahua to be more selective about what he barks at. It’s such an issue we wrote a book about it: Currently available as a PDF download. We are currently updating it for Amazon. 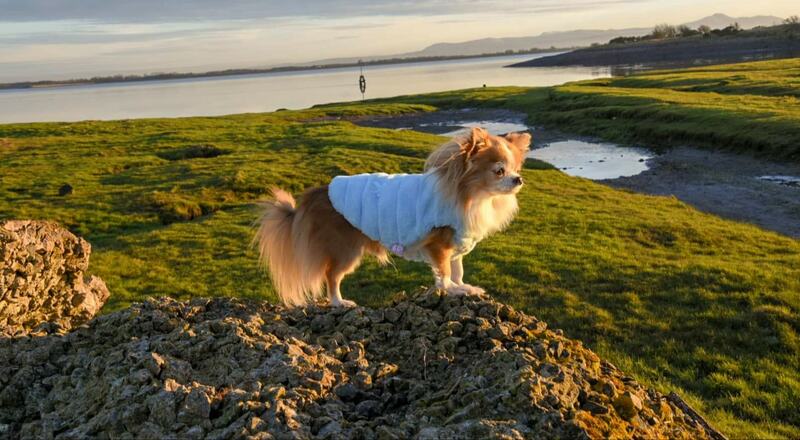 Keep your chihuahua stimulated and active, chihuahuas rock at agility. Or, make sure they get plenty of good quality interesting walks and lots of playtime with you. A chihuahua left alone for long periods of time will become stressed and start to display behaviour associated with separation anxiety. Arrange a dog walker if you are out for regular long periods of time. Next Post Can my chihuahua catch cold or flu from me?